The small town of West Yellowstone, nestled at the west entrance to Yellowstone National Park, is ruggedly Western yet comfortably homey in a way that echoes the landscape surrounding America’s first national park. Small-town hospitality, Western grandeur, and a decidedly outdoorsy lifestyle combine to create an authentic experience at the doorway to some of North America’s most storied wonders. Summer is peak season for visitors to the area, as Montana’s big sky seemingly stretching to accommodate a flood of eager explorers from around the world. Pending conditions, the road into Yellowstone National Park opens in late April and closes in early November. Early spring and late summer are both beautiful times to visit—and you’ll find a fraction of the crowds. West Yellowstone is also a popular wintertime stop for cross-country ski and snowmobile enthusiasts, and snowcoaches carry visitors into the national park in the depth of winter, offering exclusive photography opportunities and wildlife watching. 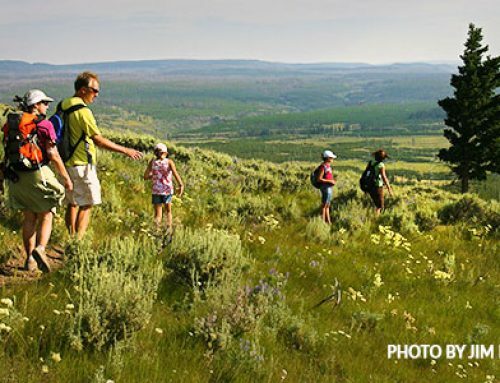 Here’s how to make the most out of an outdoorsy weekend in and around West Yellowstone. A hearty breakfast and plenty of caffeine is a must-do start to any adventures in West Yellowstone, and for such a small town, there’s a surprising array of awesome choices. For a convenient caffeine fix before a day spent outdoors, bike and cross-country ski shop Freeheel and Wheel boasts a small yet quality espresso bar, and nearby Mountain Mama’s Cafe and Coffee House serves Starbucks coffee as well as hand-crafted breakfast sandwiches on freshly made bread. Try the bison sausage to start your day. Craving a heartier breakfast? Running Bear Pancake House is a simple eatery known for its large portions and makes an easy, affordable stop before the day’s adventures, with attentive staff and excellent lattes. Three Bear Restaurant is a West Yellowstone institution (order the sweet cream pancakes with local huckleberries), and the Timberline Cafe serves up comfort food in a casual atmosphere. In West Yellowstone, outdoor adventure is never very far away. From world-class blue-ribbon fly fishing to a plethora of hiking trails, activities abound within close reach of the town. A must-do is Yellowstone National Park. When crossing through the West entrance of the park, visitors are offered a map that outlines many of Yellowstone’s attractions, from hiking and scenic stops to the few small outposts in the park itself. 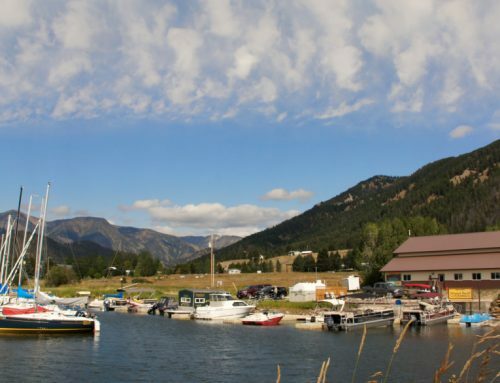 Outside Yellowstone’s borders, massive Hebgen Lake offers boating, fishing, and sight-seeing opportunities galore. Another recommended stop just north of Hebgen is Quake Lake, which earned its name when it was formed after an earthquake struck in August 1959, killing 28 people in a massive landslide. Today, the lake is a compelling, eerie body of water filled with dead trees and backed by the still-visible landslide scar. A stop at Earthquake Lake Visitor’s Center provides insight into the area’s history and the events that led to the lake’s formation. 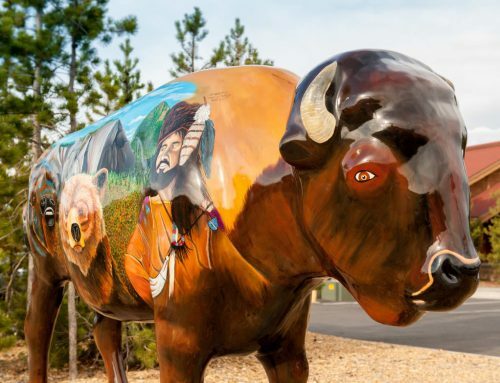 West Yellowstone is surrounded by hiking trails, and a quick stop into one of the many local outdoor stores can provide an update as to trail conditions and recent bear sightings (it’s always a good idea to carry bear spray). Fly anglers will find no shortage of water—there’s a reason West Yellowstone attracts fishing enthusiasts from all over the world. With its proximity to the Madison, Gallatin, Henry’s Fork, and many other storied rivers, West Yellowstone is a veritable fisherman’s paradise. A quick stop into one of the town’s many fly shops can provide information and, if needed, a fishing guide. After a long day of outdoor adventure, options abound for refueling and relaxing in West Yellowstone. Get a taste of Montana residents’ philosophy of "work hard, play harder" at any number of watering holes around town. After a day on the river, many locals can be found relaxing at Bullwinkles, people-watching and enjoying a local brew. Just down the street, the Grizzly Lounge offers quick, friendly service in a relaxed environment, and Madison Crossing Lounge is set in a quaint old schoolhouse, offering hearty dinner options. In recent years, a variety of "quick dining" options have popped up along the main drag, Canyon Street. In the busy summer season, look for everything from taco trucks to coffee huts, offering fast options if you’re in a hurry. 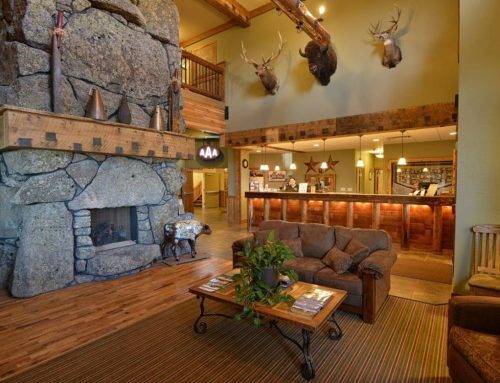 Thanks to a bustling tourist economy, there’s no shortage of lodging in West Yellowstone. From traditional chain hotels to exquisite "glamping" camps to working guest ranches, visitors will find lodging suited to their particular needs. Nestled in town, the Alpine Motel is a classic hotel owned by locals Brian and Patty, who happily offer insider tips for visitors looking to make the most of their stay. Al’s Westward Ho Motel, the Evergreen Motel, and Three Bear Lodge are all well-established lodging choices in West Yellowstone proper, offering an easy stroll to dining, shopping, and more. Located just three minutes from the west entrance to Yellowstone National Park, the Arrowhead Lodge has five units available—two one-bedroom suites and three two-bedroom suites. Each features jetted tubs, kitchens with stainless steel appliances, flat-screen TVs, and wifi. It’s a very comfortable place to relax after a day in the park. Also located within walking distance of the park are the Best Western Desert Inn and the Brandin’ Iron Inn, both of which offer free continental breakfast daily. The Stagecoach Inn, just a few blocks further from the entrance, is a landmark hotel that’s been renovated with a modern touch. You’ll also find lots of cabins and bigger properties to rent if you’re traveling with a larger group. 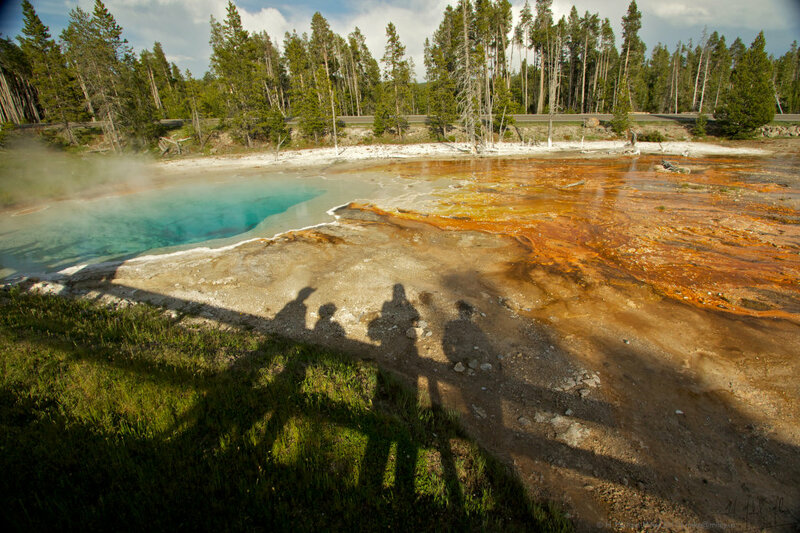 Visit destinationyellowstone.com for all your lodging options. Regardless of how you choose to spend your time in West Yellowstone, it’s guaranteed to be an unforgettable experience. This small town nestled next to America’s first national park embodies the rugged Western spirit and the adventurous hearts of those who love the outdoors. Written by Jess McGlothlin for RootsRated Media in partnership with West Yellowstone Chamber.